lower center in plate: FP Michetti f; upper right in plate: FP Michetti [in reverse]; upper right in plate margin: 552. 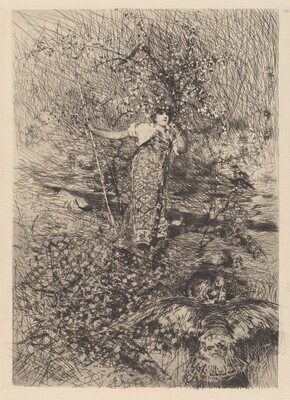 (Il Bulino Antiche Stampe, Milan); purchased 2013 by NGA. From Neoclassicism to Futurism: Italian Prints and Drawings, 1800- 1925, National Gallery of Art, Washington, 2014 - 2015.